Antique Edwardian Locket Necklace Floral Engraved 10K Gold Filled Beautiful Monogram. 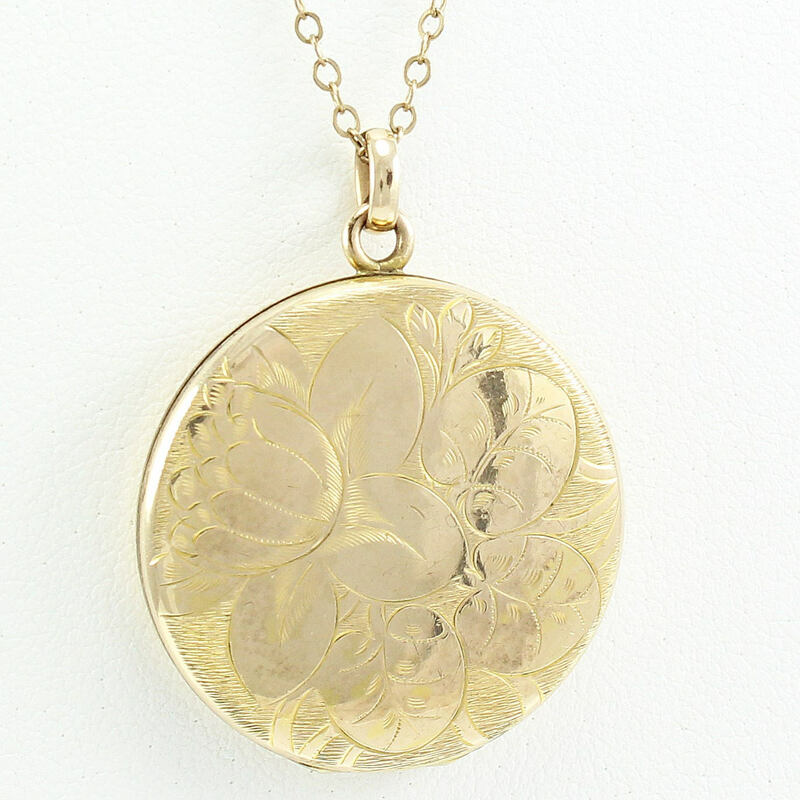 This vintage treasure comes in the form of a gorgeous 10K gold filled round locket pendant suspended from a 12K gold-filled rolo chain. The front is engraved with flower motifs, while the back features a script monogram reading SMP. Open the hinged lid downward to reveal two spots for storing favorite photographs. 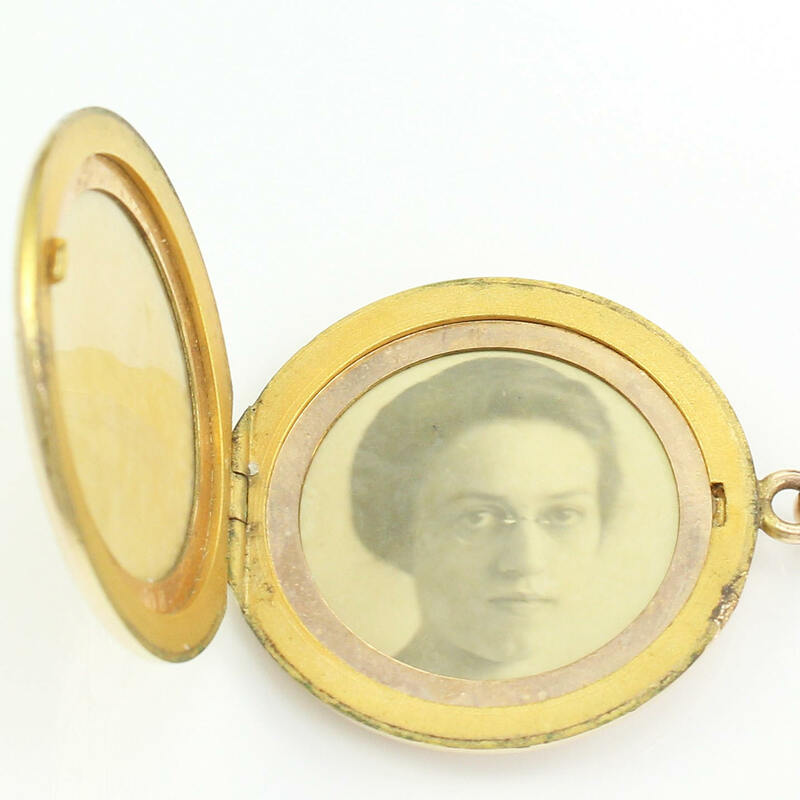 The protective celluloid frames are still intact, and we've left the original photograph portrait of a young woman in glasses. This piece is in overall very good vintage condition, with minor signs of surface wear. 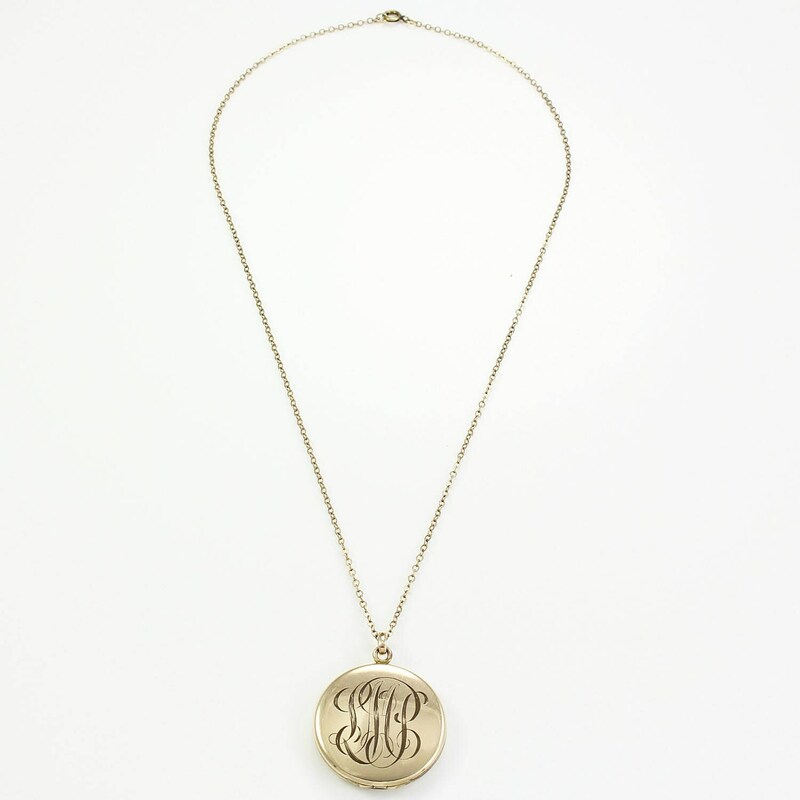 The locket interior is stamped BEST QUALITY and B AND B. The spring ring clasp is stamped ATLAS 12K GF. 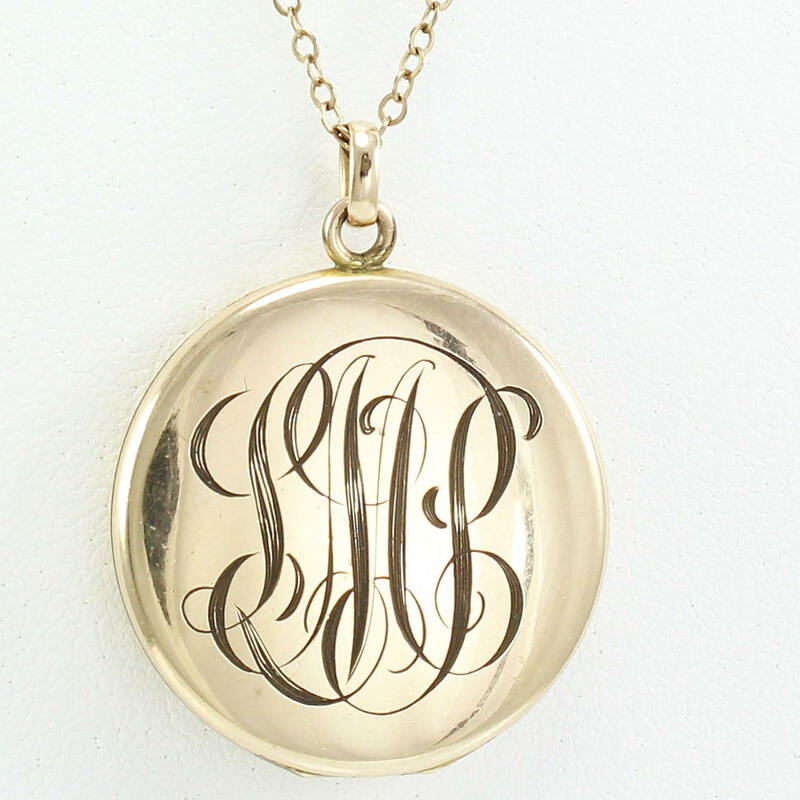 HALLMARKS/HISTORY: Locket interior is stamped BEST QUALITY and B AND B. The spring ring clasp is stamped ATLAS 12K GF. CONDITION: In very good vintage condition, with minor surface wear noted. MEASUREMENTS: Locket measures 1.31" long by 1.13" wide.